Support the family of Mehman Singh who was shot dead by robbers. 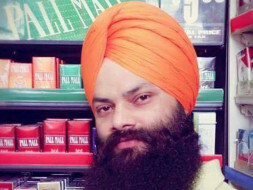 We are very sorry to inform that one of our punjabi Sardar SarDaar Mehman Singh Ji was shot dead in Jackson Michigan by unidentified person during armed robbery. He came two years ago in the country for better future. He has a ot of outstanding loan back home. We are working with them family members back home, so they can come to USA to see their loved one who left them. We are requesting to all people to support his family in this time of grief. Please help this guy's family financially so the loans can he paid back.